Surface grinder maintains plane parallel grinding. 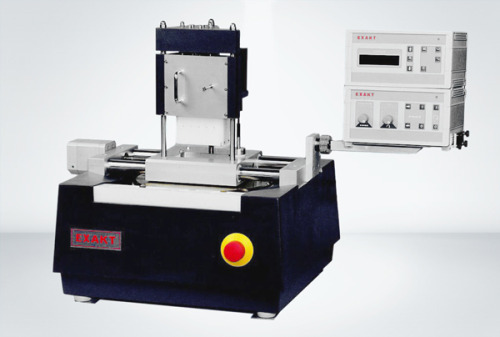 EXAKT has perfected a surface grinder that maintains plane parallel grinding with a user determined shutoff capability. Sample thicknesses in the range of 20 µm can be achieved easily. Accurate to within ± 1.5 microns, the system uses abrasive papers and films to prepare the required surface. This grinder is perfect for processing difficult materials and hard/soft combinations. The AW110 Control allows the user to set the machine to grind to predetermined levels then automatically shut off.